Most sellers insist that their condo is special and deserves a higher list price than other comparable properties. Sometimes this justification of a higher price is made because of upgrades, other times it’s because the seller is misinformed or just unrealistic. We have to keep in mind that some upgrades are not to everyone’s taste; such as floor colours or cabinet colours. Remember that 90% of condos sell within 2% of asking price and therefore, it is important to price your condo right the first time you put it on the market. Overpriced listings quickly become stale listings and buyers lose interest quickly. Pro tip: Typically speaking, when selling a unit, an owner can expect to recover only 40%-60% of the value of any given upgrade. Many properties that are on the market are either owner-occupied or vacant, and it is hard to keep it in a very clean condition. However, some things are a bare minimum requirement when choosing to place your condo for sale. 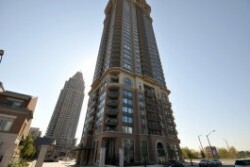 For any buyer looking to purchase in downtown Mississauga, the process of buying a condo can seem overwhelming. With so many buildings to choose from, buyers are often left with uncertainty, not knowing if they have purchased a unit that they will completely be happy with. This is why I always stress to my buyers, that the most important aspect of selecting the right condo is – lifestyle. 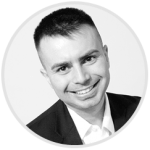 The lifestyle each condo has to offer is different, and I believe each buyer should be educated as much as possible about each condo (both negative and positive) before they commit to the purchase. In this blog post, I will cover some of the features which make a condo stand out from the others. 385 Prince of Wales is one of the only buildings that have a lot of visitor parking space since it is outdoors. It is also in front of Rabba and Dry Cleaners. It seems that many condos in Square One have two issues when it comes to parking. 1.) Time restrictions and limitations – how many parking passes a month are issued for your guests. Example only 8 passes a month. 2.) Availability – the condos that don’t have these restrictions have issues with availability. On the weekends; Friday and Saturday nights parking spots are very scarce. If you have been on the fence about buying a condo in Mississauga for the last little while, this might compel you to purchase a condo. Last week the Bank of Montreal brought back their 2.99% 5 years fixed mortgage rate. Originally, this same rate was offered last year and it only lasted about three months. 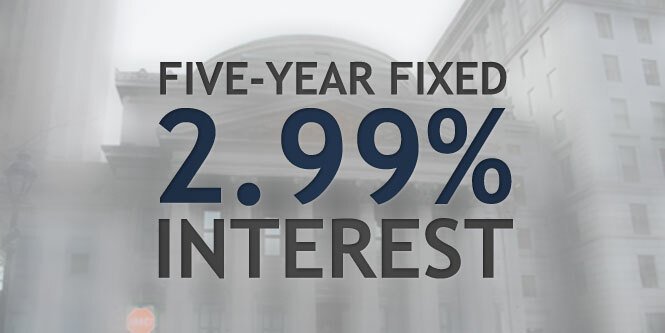 Afterward, the 5 years fixed rate slowly crept up to about 3.5%. This entry was posted on Sunday, April 27th, 2014 and is filed under ALL Articles, Market Statistics. At one point, we have all seen a real estate show on TV. Whether it was Love It Or List It, Property Virgins, or The Property Brothers. Some of us have wondered what it would feel like to have our home featured on a show. How we would like our home to be renovated or remodeled, and what it would look like after. Then we thought about the show and how much our home would be worth after a reno job was complete. In 2012/2013, there were 5 condo projects in downtown Mississauga which were launched; PSV 1 and PSV 2, Pinnacle Uptown 1 and 2 and Pinnacle Grand Park. Since the market has been healthy and steadily going up, builders are watching the market in order to see how the market will unfold for the rest of the year, and therefore, no new launches have been planned for this year in the Square One Area. However, the five projects mentioned above still have some inventory left over. For those projects with fast approaching occupancy dates, there are currently some great deals and promotions being offered to us. We have a close partnership with PSV and Pinnacle and would love to offer our clients all the perks of condo ownership, along with great offers. Pro tip for buyers – If you are still looking to purchase a PSV or Pinnacle condo, now is your chance to get great deals and promotions through us. Contact us for more info! This entry was posted on Sunday, March 16th, 2014 and is filed under ALL Articles, Market Statistics. One of the main factors, when choosing a new home, for many new home buyers, is deciding which city is the right fit. Most people will choose a location close to their work. Others may pick a location associated with higher social status. Whichever factors go into your decision, property tax is something you should consider. Property and land transfer taxes are required to be paid to the owner on your Closing Date. The money is split between the city, region, and province. In this article, we will outline the property tax and land transfer taxes associated with purchasing a property in the Square One region of Mississauga.